“Glass” Review: Does Splicing “Unbreakable” and “Split” Work? Glass: Please be warned that I may talk about the end of this movie, so don’t read on if you’re saving up to watch it and be surprised. I saw “Glass” the day it opened and it’s still keeping a slim hold on the #1 box office spot for the third week. Estimates are that it has earned an additional $9.5 million in ticket sales, which would bring its total earnings to $88.7 million. So, it is with a great deal of reluctance that I have to say that I was disappointed in “Glass.” There is one scene where Anya Taylor-Joy goes to the sanitarium where James McAvoy is confined and asks to talk with him. It is strange that she would WANT to talk to him, since he held her prisoner in “Split” and terrorized her, but she survived. The head psychiatrist, played by Sarah Paulsen, is heard telling the young girl from the film “Split” that she cannot possibly talk to her former captor—and then, in a complete reversal, there Anya is, talking to him. Why? How? What? Then there is the scene in “Glass” when all three of the bad guys are brought into the room to talk with Paulson (see a slight amount on the trailer above). Only one of the three is chained, and that is Bruce Willis. Why wouldn’t James Mcavoy be chained, as he is clearly the most dangerous of the three? (Jackson is in a wheelchair and appears to be catatonic) Also weird: the drum music used in the background; the pacing of the entire scene gave us a very draggy scene. For the keen of eye, the usual cameo—a la Alfred Hitchcock—is Shymalan at a stand that sells cameras. He says he “used to hang out with some shady types at the football stadium in his youth.” Thanks to the Alamo’s history lesson, I remembered that, in the movie “Unbreakable,” his cameo appearance cast him as a drug dealer at the stadium where Bruce Willis’ character David Dunne is a guard. The fight outside the sanitarium between Willis and McAvoy seems extremely unrealistic and hokey, especially when Willis’ son shows up and is about as ineffectual at helping his father as humanly possible and with McAvoy loping along like he is in a “Planet of the Apes” sequel. Who really thinks that the much younger McAvoy (i.e., “the Beast”) is going to be truly challenged by Willis? The “precipitating event” that we see (i.e., a scare in the water when he was a young boy) is anti-climactic. The camera work at the end, when three characters are shown sitting in the Philadelphia train station, was off-putting and jerky. One wonders how anyone is going to know to come flocking to the train station in the first place. Way off the chart of believability. Shymalan is well-known for surprise or “twist” endings and tries for a double twist here, which I won’t reveal, although he has said, “The negative thing about the twist (ending) is that it’s all people are occupied with; all the gentleness in the movie is being overshadowed by the flashy cousin in the sequined vest taking center stage.” In this film he tries for a double surprise ending as we come to learn that Mr. Glass was much smarter than his keepers. It may be for the best that both Samuel L. Jackson’s character and Bruce Willis’ character are dispatched by film’s end, but it seemed pretty arbitrary. Still, I’m glad that he bit the bullet and did not leave us thinking they’d show up again in a film this implausibly plotted. I recently spoke to a roomful of 3rd and 4th graders at a Young Authors’ Day on January 24th. The students were polite and generally attentive. 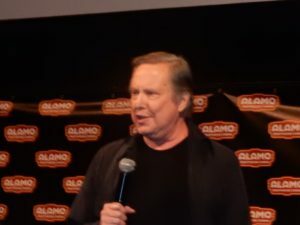 When I switched to the trailer, projected on a large screen, for my book series (“Ghostly Tales of Route 66”) and showed a short film clip of the route, I was in the back of the room, scanning the crowd. They were mesmerized, enraptured, totally “with it,” whereas I had to contend with Susie sharing her lunch crackers with Janie and whispering to her when it was just me trying to share stories of my experiences driving from Chicago to Santa Monica gathering ghost stories. (www.GhostlyTalesofRoute66.com). 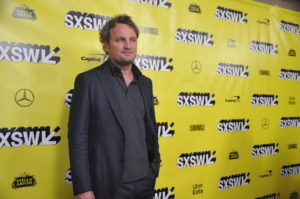 SXSW proved this to be true with the smash opening of “A Quiet Place,” which, in Mexico, they described as “alien on a farm.” My interview with the two young writers of that film (Scott Beck and Bryan Woods) convinced me that I should go home and write a screenplay based on THE COLOR OF EVIL, which I did in 3 weeks, while reviewing SXSW. 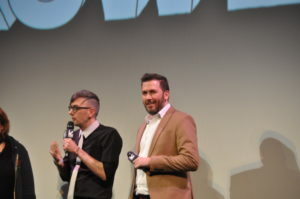 We would like to thank you for participating in The LA Edge Film Awards. There were a.lot of great submissions. It was very difficult to choose this month, but we are now excited & proud to announce the winners for MAY 2018! “Time” said of “Hereditary”, “It’s a movie about feeling small and inconsequential in the larger pattern of danger churning all around us.” Those who have been horror afficionados for years will remember that “Invasion of the Body Snatchers” was often said to be a film about Communism and the cold war threat, although that was denied by the writer and director. Nevertheless, it was films like that one (which was remade several times to varying degrees of success) that captured the mood of the moment. Whatever your opinion of it, horror is hot, right now. 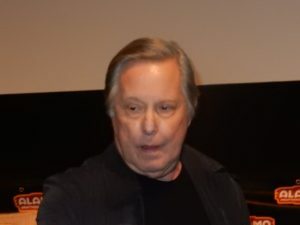 If anyone out there is reading this: I’ve got literally hundreds of short stories that can be made into great onscreen movies, part of my 50+ year love affair with film and residing in such collections as “Hellfire & Damnation” (Books 1, 2 and 3) and “Ghostly Tales of Route 66.”. I also wrote THE COLOR OF EVIL, 3 novels that follow a young boy with the paranormal power of Tetrachromatic Super Vision (a real thing, by the way) and put him in peril because others don’t understand that it isn’t necessarily a predictive power. By book three, when we’ve followed Tad (McGreevy) and Stevie (Scranton) and Jenny (SanGiovanni) and Janice (Kramer) through their junior and senior years of high school and on into adulthood, you’ll feel that you know them well. Set in Cedar Falls, Iowa, in 2003-2005, the books are right in touch with today’s mania of the moment, and I hope those of you in a position to see for yourself check out the e-book boxed set (THE COLOR OF EVIL series by Connie Corcoran Wilson) and find out for yourselves. “Shelf Unbound” magazine has named THE COLOR OF EVIL boxed set to its list of the BEST INDIE E-BOOKS of 2017. (p. 44). All 3 books are currently touring as a boxed set in e-book formatbut the also are available in paperback and audio book. 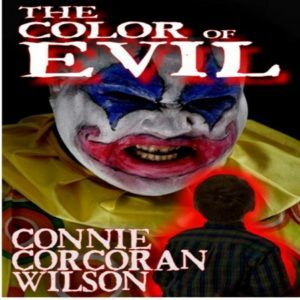 Type in The Color of Evil by Connie Corcoran Wilson to go to the Amazon ordering site for the 753 pages that comprise “The Color of Evil” (Book 1), “Red Is for Rage” (Book 2) and “Khaki = Killer” (Book 3). In the Notes from the Author section on page 44 of “Shelf Unbound,” Connie mentions that the inspiration for the series came from a short story that appeared, originally in Volume I of her short story series “Hellfire & Damnation” (Books 1, 2 & 3). 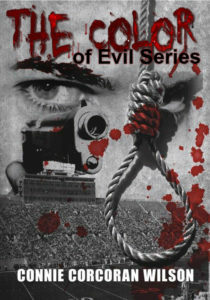 For trailers and reviews of each of these series go to www.TheColorOfEvil.com and www.HellfireAndDamnationTheBook.com. Enjoy! 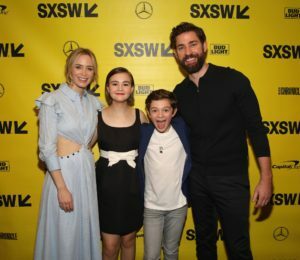 I’m here at SXSW Film Festival (for the 3rd year) and the Opening Night film, “A Quiet Place,” written by two Hitchcock-loving Bettendorf, Iowa, 34-year-old filmmakers, (with some contributions from Director and Star John Krasinski of “The Office” fame), is wowing the critics and the crowds. I was fortunate enough to grab a few minutes to speak to Scott Beck and Bryan Woods about this big-budget Paramount film the day after it premiered. 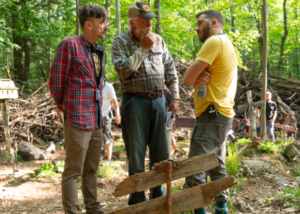 It is not difficult to see how these two young Iowa graduates, who have been collaborating since junior high school (and throughout college at the University of Iowa) have helped create a suspenseful thriller that is destined to become a classic. It’s the start of something big, career-wise. Their next film “Haunt,” currently in post-production, is one they both wrote and directed. 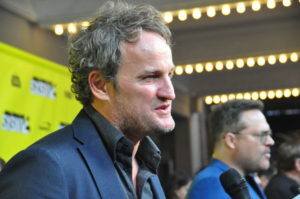 The filmmakers were articulate, congenial, diplomatic and enthused about the audience’s 100% Rotten Tomatoes response to their film about a family of four that must remain totally silent in order to keep some scary underground-dwelling creatures from killing them. They’ve survived in a dystopian world (no further explanation) where any loud noise will bring these “things” down on the family of Krasinski, his wife Emily Blunt, their deaf teen-aged daughter Millie (played by a lovely young actress, Millicent Simmons, who is deaf in real life), a son of about 10 and a younger boy who looks just about ready for kindergarten in a normal world. But, when the film opens, they are not in a “normal” world, but are searching for drugs in a ruined drugstore, where the youngest of the brood finds a noisy toy that he’d really like to keep. You know this bodes ill for the family, which has resorted to using sign language to communicate, has sound-proofed their dwelling and has an extensive camera and light set-up to try to protect themselves from the blind, armored creatures in an attempt to try to stay alive. There is also a tower that the father (Krasinski) lights a fire atop at night. We see two other fires in the distance, so we know there are at least a few other survivors. The set design and special effects are extraordinary, reminding of the “Alien” days, (when we finally see this threat—which isn’t for a long time). Marco Beltrami’s score is great and–most importantly—the acting from all is terrific. 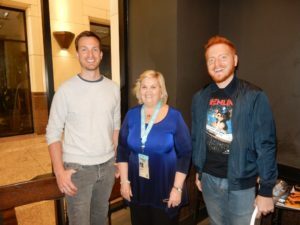 (Left to Right) Scott Beck, Connie Wilson and Bryan Woods at SXSW (Austin, TX) on March 10, 2018. 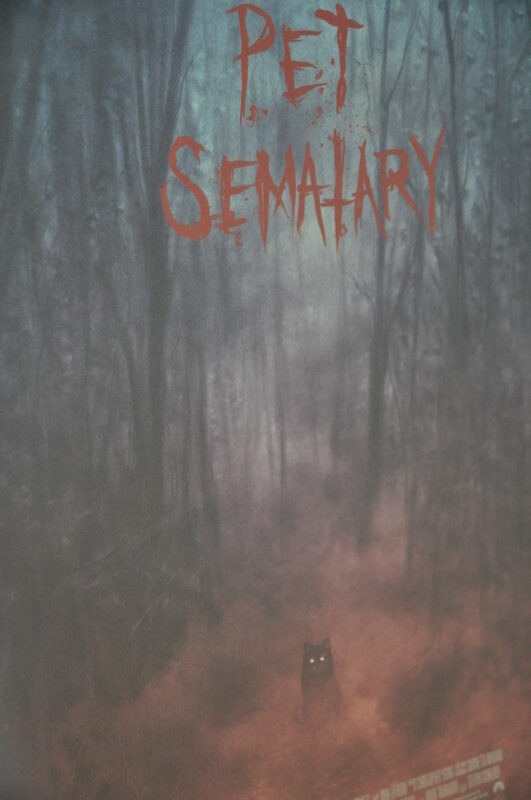 The log line for the film is: “A family lives an isolated existence in utter silence, for fear of an unknown threat that follows and attacks at any sound.” That is an original premise that has not been done before. It leads to one of the most spare scripts in Hollywood history. Not only do the actors seldom speak (they sign or whisper or mouth the words), we don’t get to “see” the monster(s) until quite late in the film. And they are “Alien-” quality when we do. There is not one “down” or boring scene, always the goal for a screenwriter, but difficult to achieve. No unnecessary exposition or wordy speeches. Just good old-fashioned Hitchcockian suspense from a screenwriting team that mentions “Vertigo” as one of their favorite movies and have been making films since they were six years old. 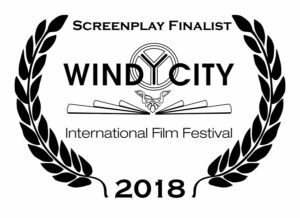 I met up with them at a Starbucks the day after the film and wrote a piece giving the local ties to the Quad Cities of Iowa, which appears above this one. To achieve that, I had to embarrass myself and climb over about 8 other movie-goers in my row to go to the microphone during the Q&A. Where, exactly, were these two talented young men? Fortunately, my willingness to go that extra mile led to a brief but informative meeting the very next day. The film’s extraordinary quality is leading to this recommendation: if you like suspenseful, well-acted, well-directed films, beautifully-shot films where you care about the characters and root for them to escape, even against overwhelming odds, you’re going to love this movie. 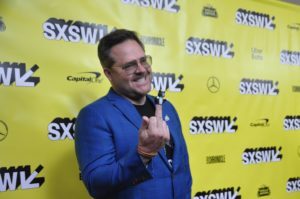 Bryan Woods (left) and Scott Beck at SXSW in Austin (TX) on March 10, 2018. Last year’s opening film was Terrence Malick’s “Song by Song” with Ryan Gosling, Michael Fassbender, Natalie Portman and some other “A”-list talent. Perhaps Malick should have hired Beck & Woods to script the thing, as that renowned filmmaker’s work, which was often wonderful, was not well-received because of its meandering storyline. The film opens wide in the U.S. on April 6th and, yes, it IS that good. Take it from someone who’s been reviewing film for 47 straight years. Emily Blunt in “A Quiet Place,” the Opening Night Film at the 25th SXSW Film Festival, which is now SXSW Festival and Conference(s). 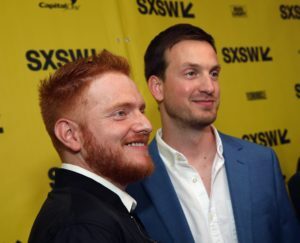 How in the world did two young men from Bettendorf, Iowa, wind up scripting the Opening Night film of one of the most prestigious film festivals and conferences in the country, SXSW, with a blockbuster film (“A Quiet Place”) from Paramount Studios? 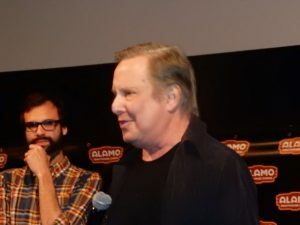 I asked the pair exactly that question in an interview conducted at a local Starbucks the morning after their film triumphed at the SXSW Opening Night Premiere on Friday, March 9th, 2018. They told me this in Austin, Texas, the day after their film, “A Quiet Place,” (starring and directed by John Krasinski of “The Office” and his actress wife Emily Blunt) wowed audiences at its Paramount Opening Night. Both have been interested in film since they were very young, but it was junior high school at Bettendorf Middle School that paired the dynamic duo. 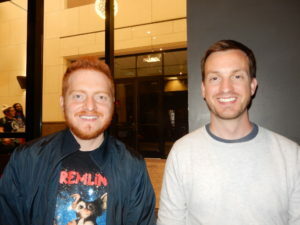 Scott Beck is the son of Ken and Linda Beck of Bettendorf, and Bryan Woods (the redhead) is the son of Dennis and Lynn Woods of Bettendorf, although Scott’s IMDB profile notes that he was born in Denver, Colorado, on October 22, 1984, while Bryan was born in Davenport on September 14, 1984. After the showing of “A Quiet Place” film, I went to the microphone and announced to the assembled audience, “I’m from Bettendorf, Iowa, (the crowd whooped loudly and shouted “Yay, Bettendorf”) and I’ve come a long way to interview Beck and Woods, but I can’t find them. Will you meet me in the lobby after this is over?” To be brutally honest, my former business (Sylvan Learning Center #3301) was located in Bettendorf, while I reside in East Moline. But Scott’s bio says he was born in Denver and Bryan’s says he was born in Davenport, so it was a bit misleading, but it got a big shout-out to Bettendorf from the crowd. I found the two and their P.R. representative and I conducted a whirlwind interview Saturday morning, as they were scheduled elsewhere almost immediately. 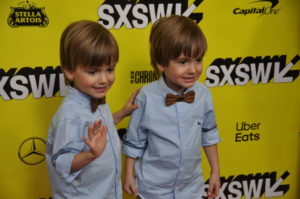 Their film was extremely well done. It is an original concept, which I will write about in a separate review when the film’s release date nears. The spare film dialogue was top-notch. It is definitely one of the films with the least dialogue ever, because of the nature of its plot. 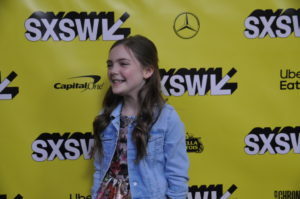 As I left the theater I heard more than one filmgoer say, “This was so much better than last year’s film.” Last year’s film was Terrance Malick’s “Song by Song” with Ryan Gosling, Michael Fassbender, Natalie Portman and a host of “A” list celebrities. Word from the front was not good. I ended up attending Sam Elliot’s “The Hero” instead, but not until I waited 2 hours in the rain, sat on a cactus while lounging on a planter near the entrance (by accident, of course), and hired a rickshaw driver to transport me from the Paramount Theater to the Zach Theater. The word about THIS film: there is not a single “dull” moment onscreen. I’m predicting it will take off like a rocket, helping “Beck and Woods” receive even more (deserved) recognition. Looking sharp! 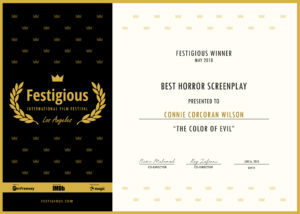 Your story, THE COLOR OF EVIL, has been approved by the editorial team at Inkitt, and will now be visible in the site listings. We’ve seen that authors who leave feedback on others’ manuscripts find that action reciprocated. Just visit our reviewers’ group here: https://www.inkitt.com/groups/5 to get started! We hope you enjoy seeing your story live and active on Inkitt. Congrats again!